Share a fresh batch of morning Scotch Tape Donuts to your co-workers. 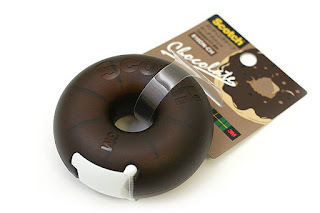 Each dispenser has a yummy donut shape plastic case and is refillable. Take your pick of two donut shape varieties and multiple colors ranging from Caramel to Strawberry. 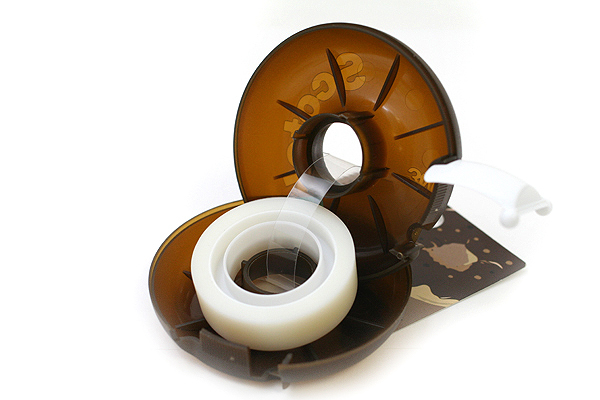 Tape refills available. Scotch Donut Tape Dispensers should ideally be refilled with Donut Tape Dispenser Refills. Standard US refills are slightly wider and the dispensing might not be smooth.